Updated 6th April. The dates for this tour can be found here.Booking is now open for most of the venues. Entertainer Tommy Steele is to star as Glenn Miller in a new musical which is being directed and produced by Bill Kenwright. 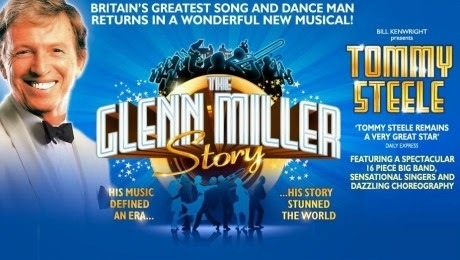 The Glenn Miller Story will be choreographed by Bill Deamer.with further cast and creatives yet to be announced.